YUSUF ABDUSALOMOV: "I AM ALWAYS READY TO HELP THE TAJIK WRESTLERS" - Wrestling portal "Samson"
Home News YUSUF ABDUSALOMOV: "I AM ALWAYS READY TO HELP THE TAJIK WRESTLERS"
YUSUF ABDUSALOMOV: "I AM ALWAYS READY TO HELP THE TAJIK WRESTLERS"
Yusuf Abdusalomov three times as a part of the national team of Tajikistan participated in the Olympic Games, and in 2008 in Beijing won a silver medal in weight category to 84 kg. This highest achievement for Tajikistan at the Olympic Games since its independence. In its track record also appear silver in the World Cup-2007 and a victory in the championship of Asia-2003. After the Olympic Games-2012 Yusuf Abdusalomov made the decision to finish career of the athlete and to devote itself to trainer's activity. On March 1 last year it was appointed to a post of the head coach of Poland national team on free-style wrestling. - Yusuf, from the moment of your appointment to the post of the mentor of Poland national team passed a little more than a year. What work was done during this time? - For this period of time large volume of work in respect of equipment, tactics and psychology of athletes was done. The Polish trainers did a big bias on physical preparation. I focus attention to wrestling, to carrying out a large number of fights. I try to work with each wrestler individually. Trenerstvo is a hard work. Work yields the fruits, for example, recently passed the international tournament "Dang Kolov" in Bulgaria, and the team of Poland in the overall ranking took the third place, after Azerbaijan and owners of tournament residents of Bolgaria. Such countries as Turkey and Armenia appeared behind us. Thus in our team for good reasons there were no participants in three weight categories - 57, 70 and 125 kg. As a whole, progress is, but still it is necessary to do a lot of work. - Whether there are at the Polish wrestler chances of an European championship or world medal? - Chances are always, the question in other – whether is ready it to it. Today, it is possible to tell that the Polish wrestlers are yet ready to show good results on WHAT also a WC, but, I think, it not far off. One more year is necessary to me. I hope that in the next season representatives of Poland will be able to win medals of the European or world championship. In Poland there is no such material as in Tajikistan where each child has a wrestling – in blood. In Tajikistan, Dagestan or in the same Iran wrestling, it is possible to tell, is a national sport and each teenager understands and loves it, whether it be free, Greco-Roman or kurash. In Poland such isn't present, command sports here are more interesting. - How the management of Federation of wrestling of Poland estimated your work? - Year of work in the national team is the too small term that to achieve something. And the president of the Polish federation of wrestling understands it. I have very good relations with the federation management, to me give support in everything and already see fruits of my work. The president of federation directly declared: "Yusuf, tell that it is necessary for you, I will make everything. Where it is necessary to carry out collecting, in what tournaments to participate, etc.". Also I have a full mutual understanding with athletes. All our victories – ahead. - What tasks you set for this season? - To try to act as it is possible more successfully. The purpose – to wrestling for medals on various tournaments. The main starts of a season, certainly, are the World Cup and Europe. We will be adjusted on good result. - What term is affected by your contract with Poland national team? - My contract is calculated to the Olympic Games-2016 in Rio. By results of Poland national team on free-style wrestling it will be visible, whether my agreement will last further or isn't present. Naturally, the management of the Polish federation will look, whether accepts it my work. Thus even if I won't be the head coach, work in wrestling clubs always is, the fee, of course, it is less, but also too it is less than work and responsibility. - And whether you can sound the sum of the contract? - I receive average to the European measures a salary, these are about three thousand dollars, and in case of achievement of results in the World Cups and Europe for the head coach of the national team bonuses are provided. Some sum from a salary leaves on housing in Warsaw. Here it is much cheaper, in comparison with Moscow – in Warsaw it is possible to rent 3-roomed apartment for 500-600 dollars. To me offered housing in other cities of Poland, but nevertheless it is more convenient to me in Warsaw, for example, there are four mosques. - You live in Warsaw together with a family? - Yes, in August of last year I transported a family to Warsaw. I have three children, they go to school and already without problems speak on Polish, in addition learn English and Spanish languages. - Whether you watch performance of the Tajik wrestlers? - Yes, whenever possible, I try to watch performances of wrestlers at various competitions. 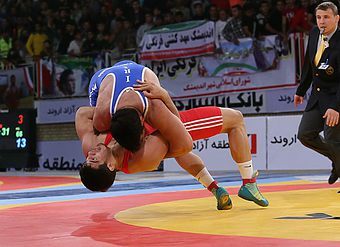 I always supported wrestlers of Tajikistan and I worry still. I wish them a great good luck on the world scene! In Tajikistan there are a lot of talented and hardworking children, it is necessary to pay only to them due attention, and then they will have great success at large competitions. 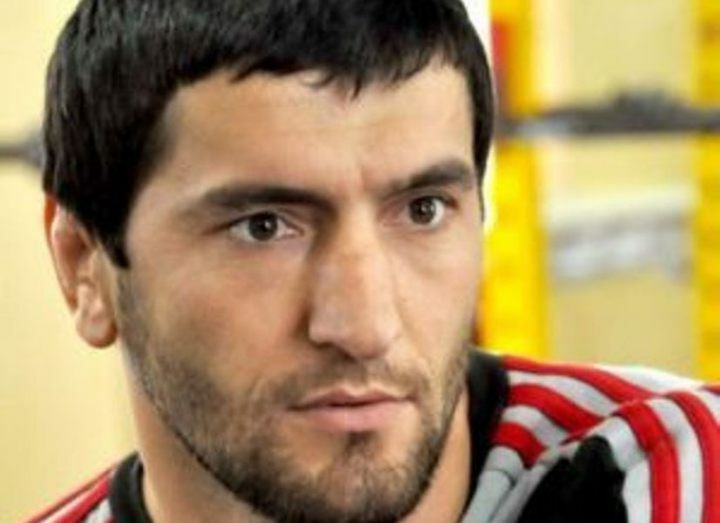 - Whether appealed to you to help with training of the Tajik wrestlers? - I am always ready to help athletes of Tajikistan, but with it nobody addressed to me. With what I can help? At least I can accept free of charge two-three people on educational and training collecting in Poland, but children have to be not the third numbers of the national team and not someone's relatives, and actually good wrestlers. - In summary, of what Yusuf Abdusalomov dreams? - My dream – that my pupils reached those heights which to me didn't manage to be reached. Then I will be happy. As for personally me, I always try to go only forward, I love the work though it is hard and responsible work. I know one, the trainer has to do more than that is obliged to do, and differently and the result won't be. Was born on November 8, 1977 in Ansalt's village of the Republic of Dagestan, the Russian Federation. Education - the highest. I graduated from faculty of physical culture of the Dagestan state pedagogical university. Pupil of the honored trainer of Russia Mahomed Dibirov. Titles: Honoured Master of Sports of the Republic of Tajikistan. Silver prize-winner of Asian games of 2002 (Busan). Champion of Asia of 2003 (New Delhi). Winner of Central Asian games of 2003 (Dushanbe). The silver prize-winner of the World Cup of 2007 in Baku. Owner of a bronze medal of the championship of Asia (2008, South Korea). The silver prize-winner of the Olympic Games-2008 in Beijing. Winner and prize-winner of ten international tournaments.